It’s a question we’ve all asked and if it isn’t hard enough it seems that our desires for our life and God’s are diametrically opposed, continually at odds. But what if the question wasn’t so difficult? 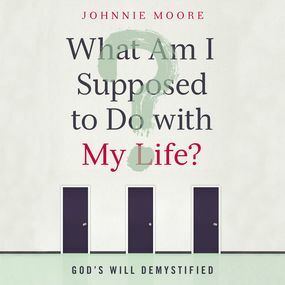 What if finding God’s will was easier than you thought, and what if living it brought you more joy than you ever imagined? Herein is the great secret of the will of God: The will of God is more about who you are than where you are or what you do. You don’t find it, you become it. So it’s time to stop making excuses, and to start turning the particular dials of history that are yours to turn. God has given you a dream that could change the world. It’s your choice whether you will give it a whirl.